**WINTER SALE** Normally $300, NOW $224.95! BEST PRICES OF THE YEAR! The quest for the ultimate wader seemed like a never-ending journey. Year after year of dealing with the common problems and frustrations associated with waders - bulkiness, lack of mobility, discomfort, sweating, and seemingly epidemic seeps and leaks that result in the shivering misery of enduring frigid water next to one's skin - instilled in us a determination to build something better. 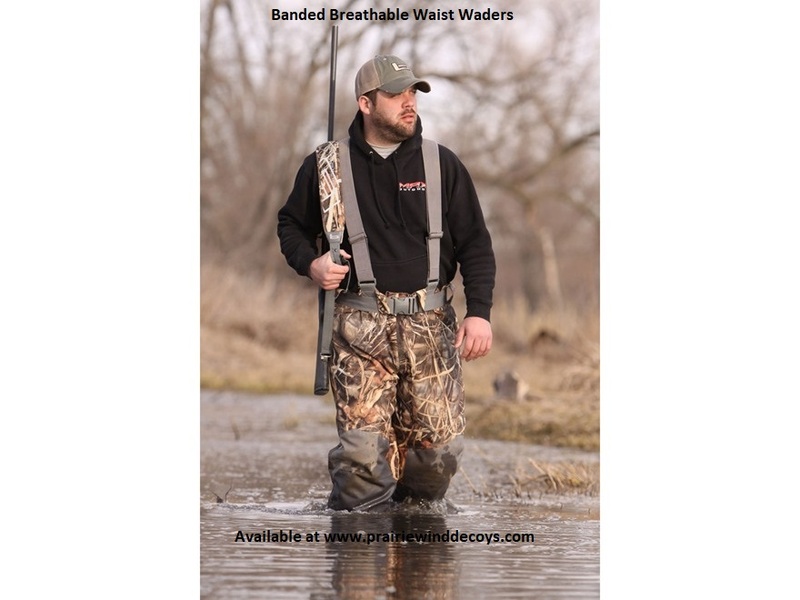 Banded set out on a mission to develop the most comfortable, lightest, most practical, bad-to-the-bone breathable waders ever made.